Nowadays, most of us are looking for a fast and reliable method to communicate with our friends or family. Even though we have plenty of options, not all of them are effective and sometimes, we wish for something more. The following article aims to present you one of the best networking and communication app, available on the market. 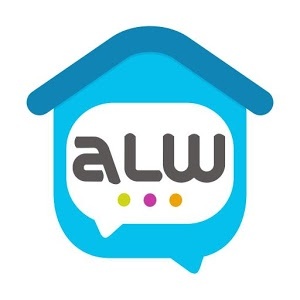 Almost Live With (ALW) is a very interesting app, which successfully combines the communication features with some very useful tools, ideal for improving your chatting experience. ALW is different than any other communication app and its unique options will make it addictive for any user. Its purpose is to connect people easier, with no costs and in an interactive way. - Chatting. This may look like a common feature but ALW manages to bring it at a whole new level. With a very engaging interface, the app will make your chatting sessions interactive and funny, in the same time. You have a lot of available options like fonts, emoji and many other things, that are just waiting to be discovered. - Voice calls and messages. With ALW, you can have voice conversations with your dear ones, for free. The quality of the sound is extremely high, even for the low speed internet connections. More than that, if a person is not available for the moment, you can leave him / her a voice message, with just a single tap on the phone. 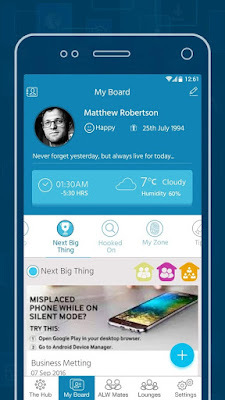 - Time Zone: This communication app can be also used for professional purposes. If you have some international contacts, the time zone feature will automatically display the time difference between your international contacts and you. This way, they won't call at impossible hours and they will know what time is it in your country. ALW successfully combines the key features of a communication app with those of a social media platform. Because of that, it manages to create an amazing virtual environment, which allows you to communicate with your friends, share your thoughts, read the news, watch your favorite sports or listen to music. ALW is the perfect way for you to be in a continuous contact with your friends and family, from one single app. All you need to do is to download it and to create an account. Everything is free of charge. ALW is the best communication app, because of its chatting and social media features, blended together. So let your friends know about it and connect together on the most engaging platform, today.